Scarred by poverty and life with a crackhead mother, Onika Lewis had a rough start. Still, thanks to her sharp mind, and hard work, she graduated with honors from a prestigious college. But her achievements weren't enough to earn her the elite status she craved. So she leveraged her gorgeous looks to become a rich man's trophy.and was eventually dumped for a younger model. Now Onika is unemployed, broke-and homeless. 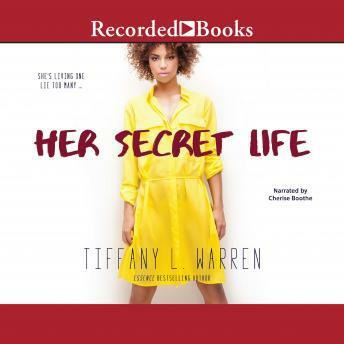 She's making a fresh start through a unique women's shelter, but when she meets Graham, a kind-hearted commuter with whom she has an instant connection, she can't bring herself to tell him her secret. Suddenly Onika has someone who cares about who she is beyond her looks. Graham's unselfish love gives her the kind of hope she's never had. But when Onika's wealthy ex wants her back, she plays one deception too many trying to have it all. Now present lies and past secrets are tearing her world apart. And Onika will need to educate herself once more-to learn what really matters, find faith, forgiveness-and build a life she truly deserves. The book was a little too religious for me.